Home » How Did This Fisherman Sustain Propeller Injuries? A commercial fisherman was snorkeling and spearfishing earlier this month when a boat when a 32-foot boat struck him, causing serious propeller injuries to his lower body. The fisherman lost part of one leg and suffered severe injuries to the other because of the boating accident. Propeller accidents are often not the first event that happens. Typically, there is a man overboard situation, a boating accident involving a collision, capsizing, a mechanical failure or a rogue wave. However, the consequences of these types of accidents can be life changing. 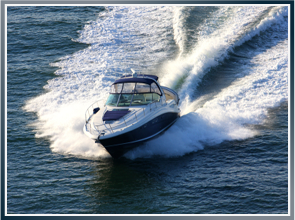 Latti & Anderson LLP is a maritime injury law firm that helps those injured in boating accidents. We have offices in Boston and New Bedford, Massachusetts, but also help those injured in maritime accidents nationwide. Next Is This Injured Longshoreman Protected By Maritime Law?